We enjoyed a great but short overnight trip to Blake Island this weekend. The weather was fantastic. It felt very strange. We’ve been boating in this area for a number of years now. 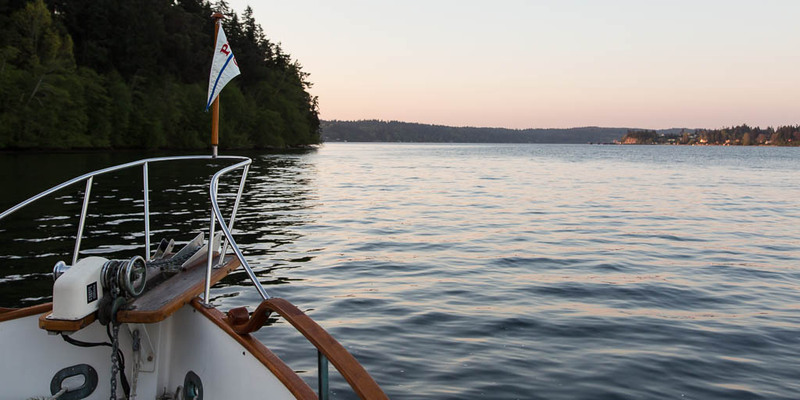 During this time, our boat has always lived on or near Lake Union. This was the first trip from our new home in Poulsbo. The beginning of our adventures all started with a slow trip through the ship canal then out through the locks. The end of the trip was the opposite followed by a plane ride home. 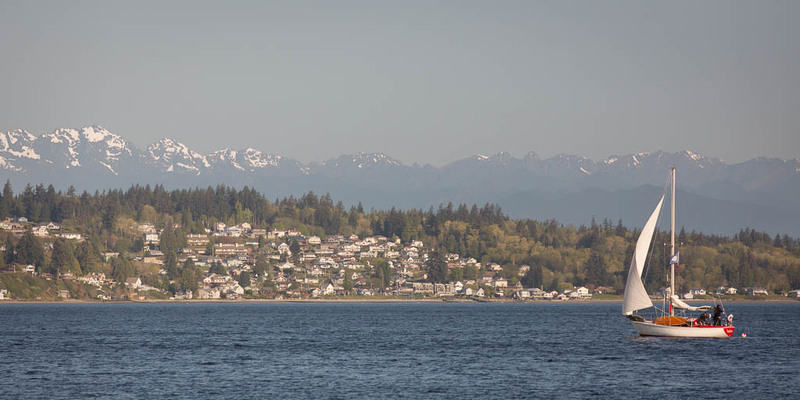 Poulsbo has always been a destination. Now it’s home. We weren’t the only ones taking advantage of the fine weather. We anchored at the south end of the string of mooring buoys. By sunset, most all the buoys were occupied. 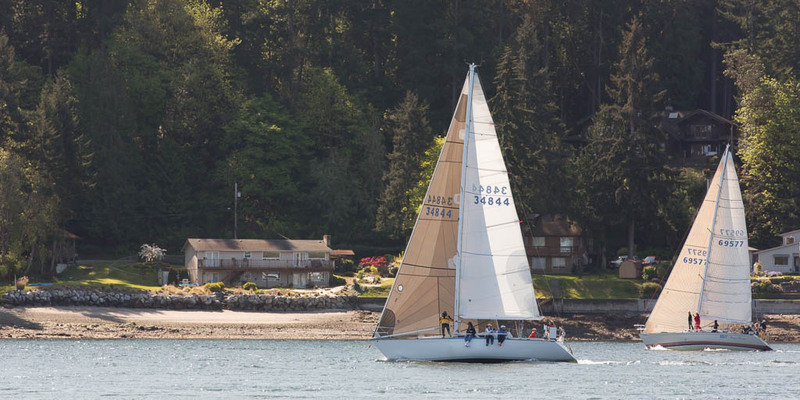 A sailboat sails away from its overnight mooring at Blake Island. Looks like a sailboat race in Rich Passage. It’s going to take some time getting used to our new home. It’s a bit like being on vacation all the time. I don’t think that’s a bad thing. 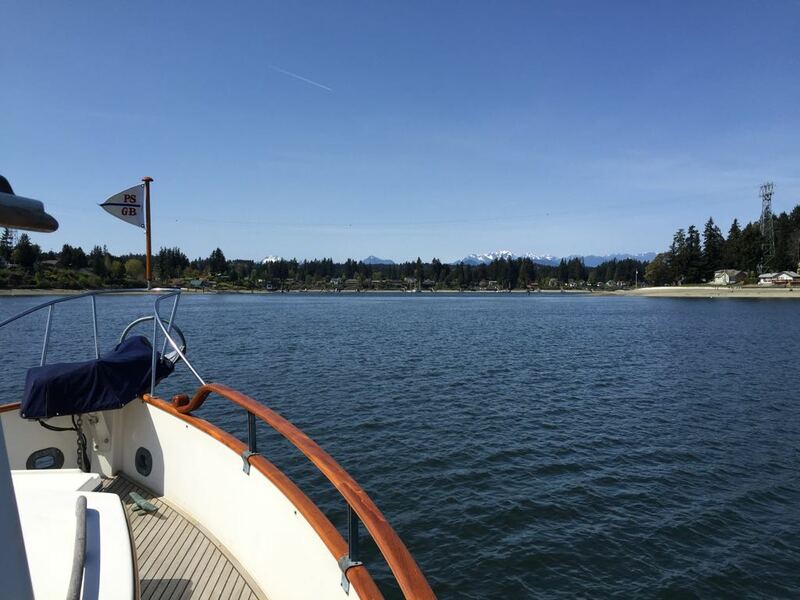 This entry was posted in Destinations, Interesting and tagged Archimedes, Blake Island, boating, Grand Banks, Grand Banks 42, Pacific Northwest, Poulsbo, Puget Sound, Salish Sea, Trawler by Rusty. Bookmark the permalink. Thank you for sharing your boating experiences and projects. I live in Palm Desert in the winter and appreciate you helping me stay connected to NW boating during this time. 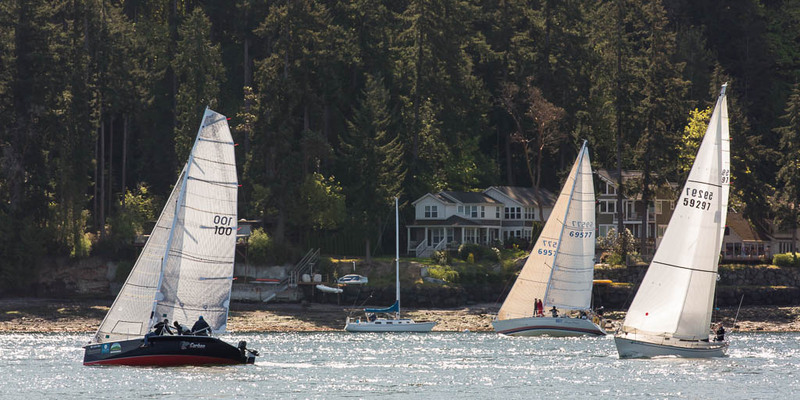 I will see you in Roche Harbor in May! Thanks Don! I sort of do what you do just on a different schedule. While we live in Poulsbo, I work just up the road from you in Pomona. So I travel back and forth each week. Unfortunately, we will not be able to attend the rendezvous this year. Work got in the way of fun this year.